The next meeting will be hosted by the City of Maryland Heights at the new Community Center located at, 2300 McKelvey Road, Maryland Heights, Mo., 63043; (MAP). The new, $30 million, 90,0000 square foot facility opened last fall. Refreshments will be served at 6:30 pm and the meeting will begin at 7:15 pm. The main agenda items will be the election of officers and board members for the 2018-19 year and the consideration of proposed bylaws changes relating to the adoption of police standards for League membership. These items will be mailed or emailed to members. Program: The East-West Gateway Council of Governments is the federally designated metropolitan planning organization for the city of St. Louis and the surrounding seven counties. East-West Gateway is responsible for approximately $900 million annually in transportation and other regional projects that require federal funding. East-West Gateway Council of Governments (EWG) was incorporated in 1965 to provide a forum for cooperative problem-solving and the coordinated development of regional policy. Jim Wild the Executive Director of East-West Gateway will be presenting an update on some of the initiatives and programs offered by EWG. Jim has worked at the agency since 1993, first as a transportation analyst. In 1994 he was appointed manager of project programming, in 2000 he became division manager, and in 2009 he was named senior manager. He also managed the development and implementation of Connected 2045 – the Long Range Transportation Plan for the St. Louis Region, and a Transportation Improvement Program for the region. Prior to coming to East-West Gateway in 1993, Wild worked at the Tri-County Regional Planning Commission, the metropolitan planning organization for Peoria, Ill. He received a Bachelor of Science Degree in Community and Regional Planning from Iowa State University in 1990. Wild is married, has four children and lives in St. Louis County. WSP USA, Inc. was selected to lead a system-wide security assessment of the MetroLink light rail transit system. WSP is an international engineering and consulting firm with over 130 years of technical experience in transportation and infrastructure planning, design and management. This is a collaborative effort between St. Louis City, St. Louis County, St. Clair County and the Bi-State Development Agency. The countywide one cent sales tax was up for the first quarter of 2018. The year started off with a slight decline but rebounded in both February and March. This could be impart due to adjustments being made by the Department of Revenue as they fine-tune their new computer software. We will continue to watch the data as the year progresses. Last month we announced that all municipalities in St. Louis County need to enter into a new contract with St. Louis County Emergency Communications Commission for E-911 service. The draft contract has been released; go to, NG911 CONTRACT DOCUMENTS to review the documents including the cover letter, frequently asked questions and the draft government entity contract. If you have questions please contact Mike Clouse, Director of the Emergency Communications Commission at, mclouse@stlouisco.com or 314-615-7114. 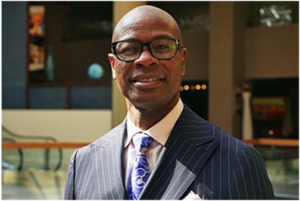 Clarence Anthony, the CEO and Executive Director of the National League of Cities will be the keynote speaker at the Installation Dinner on May 24. Mr. Anthony served as the Mayor of South Bay, FL for 24 years. He is known as a creative and thoughtful leader in his community. He is considered an expert in citizen engagement and techniques that build a “sense of community” within cities. He has been on the forefront of politics in the United States and internationally for the past 20 years, culminating with productive presidencies of the Florida League of Cities and the National League of Cities (NLC), respectively. As NLC President, Mr. Anthony served as the chief spokesperson of the oldest and largest organization of municipal officials in the United States, representing more than 1,600 cities and towns, as well as 49 state municipal leagues that are members of NLC. He also served as First Vice President of International Union of Local Authorities and as Founding Treasurer of United Cities and Local Governments (UCLG), the international voice for local governments, for four years. Most recently, he served as the Interim Manager for UCLG. He has continued his involvement with NLC by serving on the Building Committee. The East-West Gateway Council of Governments is now accepting applications for Surface Transportation Block Grant Program-Suballocated (STP-S) and Congestion Mitigation and Air Quality Improvement Program (CMAQ) projects. These federal funds can be used for a variety of local transportation projects. STP funds can be used for pavement preservation, highway expansion, congestion mitigation, safety, environmental mitigation, transit and pedestrian facilities. Projects on roads functionally classified as local or rural minor collectors are not eligible. However, bridges, bicycle and pedestrian facilities on any functionally classified road are eligible for these funds. CMAQ funds can be used for traffic flow improvement, demand management, shared ride services, bicycle/pedestrian facilities, transit/vehicle facilities; and operating assistance for new transit service. Maintenance projects such as road resurfacing/reconstruction and projects that add new capacity for single-occupancy vehicles are not eligible. Application forms and additional information are posted on the East-West Gateway website. The deadline to apply is June 14. Each workshop will run from 8:30 a.m. to 11:30 a.m. at the Brentwood Community Center. Registration and more detailed information on each course will be available soon. For more information or questions, contact Frank Johnson at frank@ewgateway.org or 314-421-4220, or Pat Kelly at pkelly@stlmuni.org or 314-726-4748. Ron Steinkamp is a Partner in the Advisory Services group of Brown Smith Wallace and leads the Public Sector Advisory Services group. 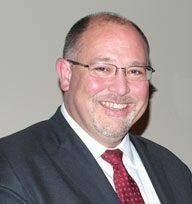 With over 20 years of experience, he focuses on internal controls, internal audit, business process improvement, enterprise risk management, fraud and forensic prevention and detection and investigation, and Sarbanes-Oxley compliance. His expertise spans a variety of industries, including government, manufacturing, retail, telecommunications, and construction. His extensive internal audit experience spans areas such as developing, enhancing and directing internal audit functions, business process improvement initiatives, compliance reviews, operational audits, construction audits, and fraud investigations. The firm’s clients include the Missouri Department of Transportation, the City of Kansas City, the City of St. Louis, Bi-State, Metropolitan St. Louis Sewer District, Black & Veatch, Burns & McDonnell, HNTB, and several other engineering consulting firms. The company continues to maintain an excellent working relationship with its repeat clients by consistently providing quality work. TSI prides it self on identifying potential design and construction related concerns, recommending sound engineering solutions and applying appropriate technologies. The League will hold its Annual Seminar for Newly Elected Officials at 4:30 pm Monday, April 30 at the Maryland Heights City Hall, 11911 Dorsett Rd., approximately 3/4 mile east of I-270. The cost is $30 which includes materials and a buffet dinner. We hope all of our newly elected officials will join us for an informative introduction to municipal government presented by municipal attorneys from the Curtis, Heinz, Garrett & O’Keefe law firm. Invitations and registration materials have been sent to all newly elected League members and to all municipal clerks. You can also contact the office directly at 314-726-4747 or staff@stlmuni.org. While the program is designed for new officials, current elected officials are welcome as well. The deadline for reservations and cancellations is Friday, April 27.